Letterpress printing is experiencing a huge resurgence in popularity. See it in its original form as the sights and sounds of an old-time newspaper office come alive in this living-history exhibit operated by the Minnesota Newspaper Foundation. Ink-stained volunteers produce souvenir issues of the daily “Maynard News” using linotype, a large cylinder press and a folder. 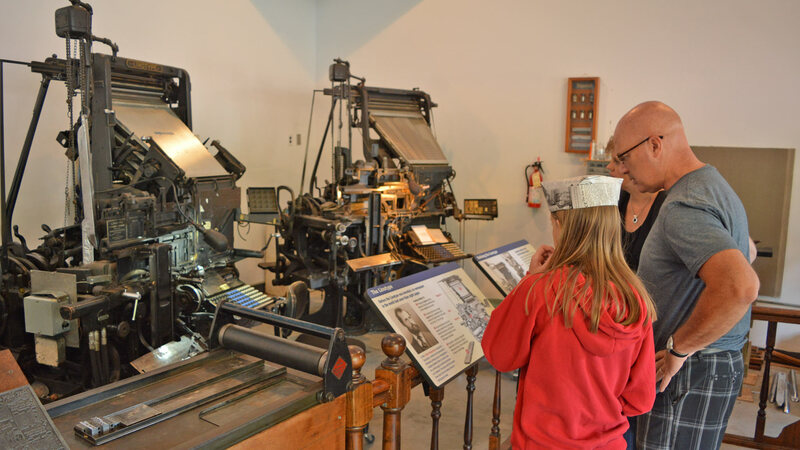 The museum offers insight on the importance of Minnesota community newspapers, the opportunity to visit with “Editors of the Day,” free hand-folded hats made from newspapers, hot-off-the-press merchandise and more. The exhibit also explores the impact newspapers have had on their communities and highlights the importance of freedom of the press.